At the Oberkotter Foundation, we fund programs in the United States that promote listening and spoken language (LSL) for children who are deaf or hard of hearing. We intentionally place children and their families at the center of everything we do and we want the organizations and policies we support to surround children and families with integrated programs and services to address their needs. The concept of a family journey anchors our work supporting opportunities for children who are deaf or hard of hearing to reach their full potential. Although no two journeys are exactly alike, families generally take a number of the same, definitive steps on their paths with their children. 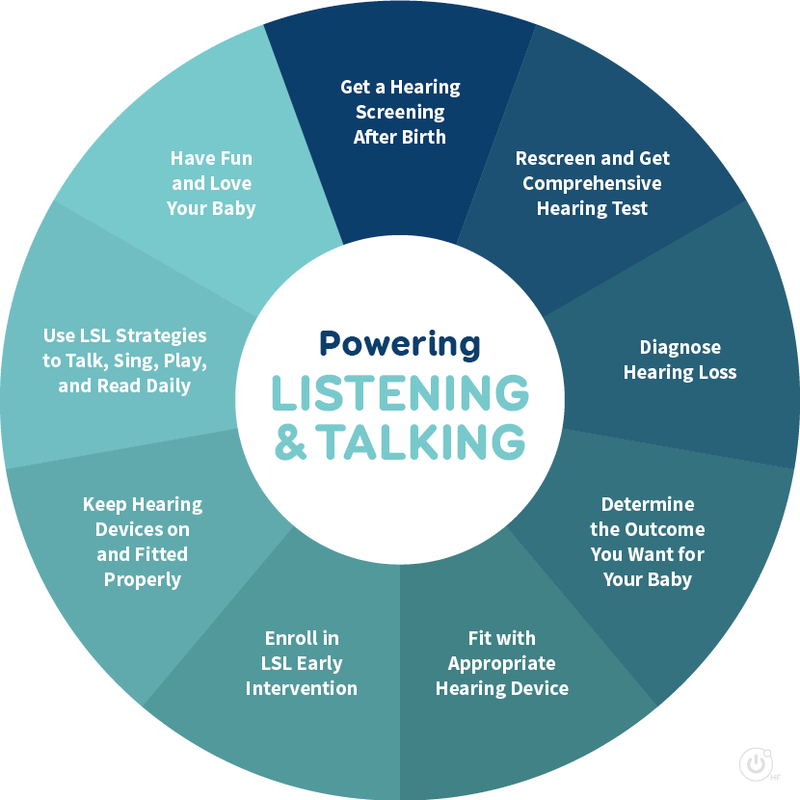 These steps include the initial hearing screening, diagnosis of hearing loss, decisions about the language and literacy outcomes they want for their child and enrollment in early intervention. Early, Early, Early: The earlier children who are deaf or hard of hearing are identified and receiving appropriate intervention, the more opportunities they will have, including opportunities to acquire language and achieve grade-level reading skills on par with their hearing friends. 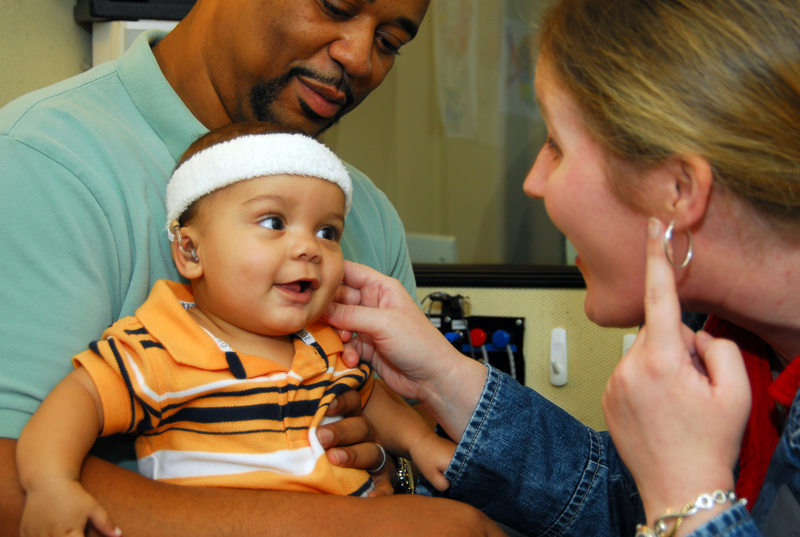 We are looking for funding opportunities to support families as they move from the initial newborn hearing screening throughout their journey with their child, including ensuring families have access to information about the importance of early hearing detection and intervention for brain development, language acquisition and literacy. Estimated Number of Children Nationwide: Based on national and regional statistics, information and projections, we conservatively calculate that by the year 2020, the families of 110,000 children ages 0-5 will seek LSL services in the U.S. each year. We are looking for funding opportunities to ensure all 110,000 children, no matter what community they live in, receive the support and services they need at every step of their journey. We are particularly interested in the children who fall into the 0-3 age group as the research tells us this is a critical developmental period for children. Collaboration is Critical: Local communities are best positioned to understand and meet the needs of the families living in those communities; and no one organization can meet every need of every child and family. We are looking for funding opportunities to support community collaboratives dedicated to working together and leveraging resources to eliminate the gaps and barriers families face, so that all children who are deaf or hard of hearing have opportunities to succeed. Innovation, Sustainability and Ongoing Excellence: On behalf of children and families, we hold ourselves and our grantees to high standards, and we are looking for funding opportunities to support programs and projects that share our vision of the future and that evidence innovation, sustainability and ongoing excellence in every aspect of their work. Hearing First: One of the Foundation’s most significant contributions to the listening and spoken language field is Hearing First, an online connection point for families and professionals to improve outcomes for children who are deaf or hard of hearing. Launched in 2015, Hearing First combines state-of-the-art online communities for families and professionals with learning experiences, resources and tools related to the listening and spoken language journey. Unlike our typical grantmaking, in this case, we saw a need in the field and took steps ourselves to address that need by creating Hearing First. In grant proposals, we are interested in new and innovative ways to strengthen and broaden the use and reach of Hearing First tools and resources so that all children who are deaf or hard of hearing have opportunities to reach their full potential. We are not interested in funding efforts to duplicate our work, whether by creating new online communities or developing new training programs and delivery methods. Programs interested in collaboratively developing a project with Hearing First should become familiar with the Hearing First digital ecosystem and materials; join and actively participate in the Hearing First Community and participate in one or more Hearing First Learning Experiences. If you then have an idea for a collaborative project with Hearing First, contact Teresa Caraway (tcaraway@hearingfirst.org) to explore and develop your idea further, prior to submitting an application to the Foundation. We primarily make Program Support Grants through a process we run two times a year. As part of a particular grant cycle, we may seek proposals within specific areas of interest or we may run a pilot process to inform our work. We make all announcements about Program Support Grants, our interests and the process on this website. For easy reference, download a chart showing important dates associated with our Semi-Annual Grant Cycles. Purchase of equipment including computers, tablets, hearing screening technology, hearing aid loaner banks, etc.